Hi! Today I have my Movember nails to share. For the month of November, iZ Beauty of London is proudly supporting the Movember Foundation. 20% of all sales of their 'Tache On' moustache decals go straight to the foundation itself. I was kindly asked to create a mani to show you the decals and help spread awareness, and I gladly jumped at the chance. Read on to find out more! I recieved a beautifully packaged box from iZ Beauty, with not only the moustache decals I was expecting, but also a polish ('Morning Mist) and topcoat to help create my Movember look. I started off with a base of 'Morning Mist', a light grey creme. The formula is smooth and easy to apply. It is a bit sheer and streaky at first due to being a softer colour, yet builds up well. It was opaque in two coats but I did need a third to cover a few streaks. This dries quickly to a plump, glossy finish. Below is three coats and 'Plump' topcoat (which again dries quickly to a plump and glossy finish). 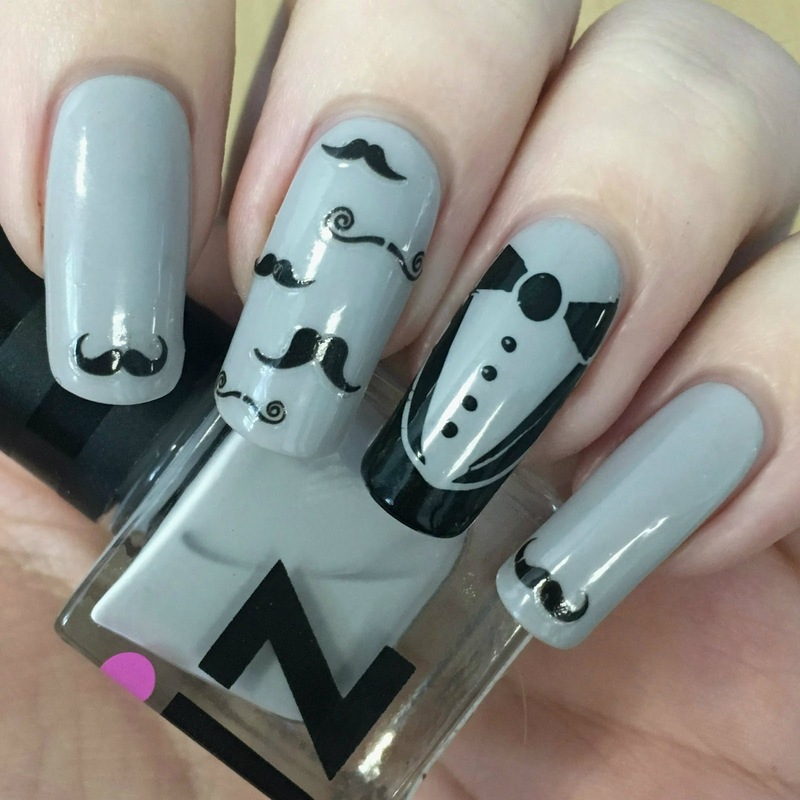 I then applied the moustache decals by carefully peeling them off of the sheet and sticking them onto my nails. I placed a single moustache on both my index and pinky, and five various ones on my middle finger. 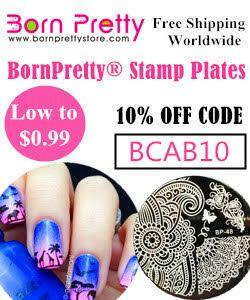 On my ring finger I stamped the tuxedo pattern from MoYou London festive plate 05 using my Born Pretty clear stamper and Pretty Serious 'Absence'. I finished with a coat of iZ Beauty 'Plump' topcoat. What do you think? Not only does this mani support a great cause, but I think it's really fun! Who doesn't love a quirky moustache?! The decals were super easy to use, and I was glad to cut out both the cutting and water stages. I definitely think they are a must have for the month of November/Movember! You can find the 'Tache On' decals on iZ Beauty of London's website for £2.50 here. Remember to also check out the Movember Foundation here to find out more. I liked these mani and the jacket image are my fav! How cute is the little suit though! Love it! 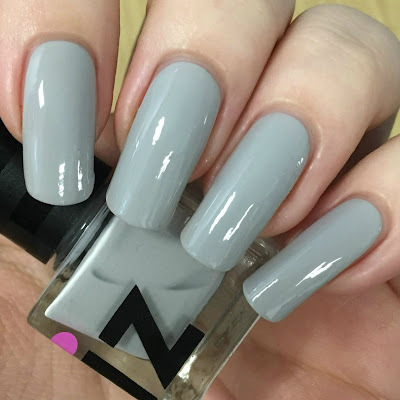 The accent nail with the jacket is perfection with this look! So perfect with the mustache!